Full length zippered design. Made of extra heavy-duty cotton canvas and reinforced at all stress points. Will last for decades. 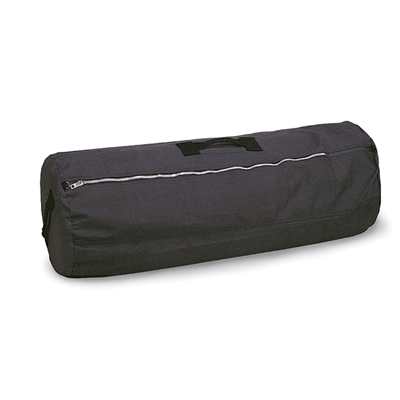 Full length zipper for easy packing and unpacking of clothes and equipment. Two web handles.